Ever since I start bringing bento to work, I have been checking online for recipes, reading through Instagram for the bento inspiration and trying out new combination. But… what I made were something same. There were no much ohmppp in them. 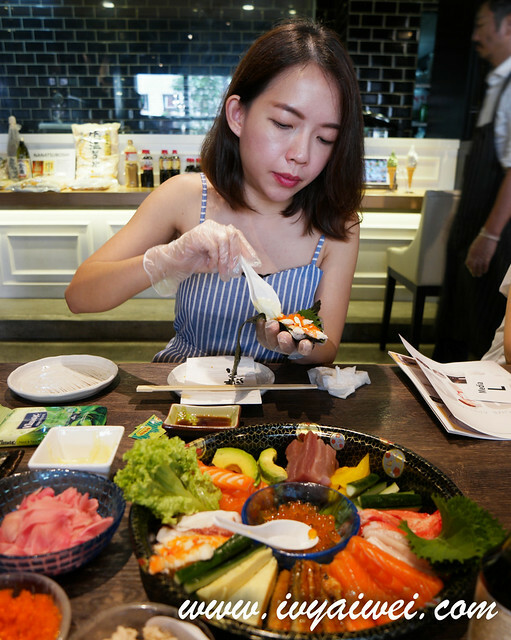 Last month, The Ministry of Agriculture, Forestry, and Fisheries (MAFF) of Japan brought their Shokuiku Tour to KL and it took place in Senya Sake & Dining Restaurant which is located in Rohas Perkasa. I was overjoyed when I was invited to this event. It was going to be something to level up my bento skill. 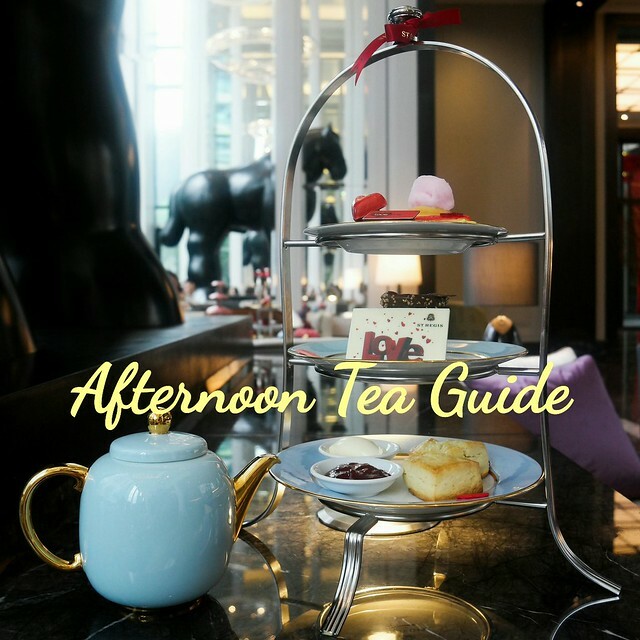 I even took leave for this 2 hours event (hate it most as I have to work on Saturdays, sigh…). 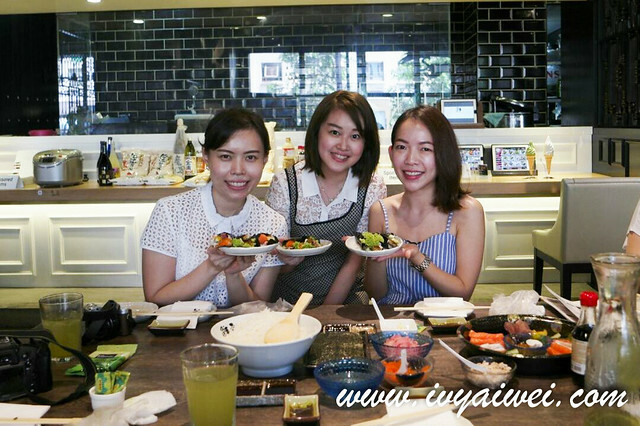 Together with Kampungboycitygal and Christine, we were looking forwards to enhance our skills in preparing home-cooked Japanese dishes and I too, hope to enrich the flavours and variety in my bento box. So, what’s Shokuiku 食育 ? Shokuiku means Food Education in Japanese. 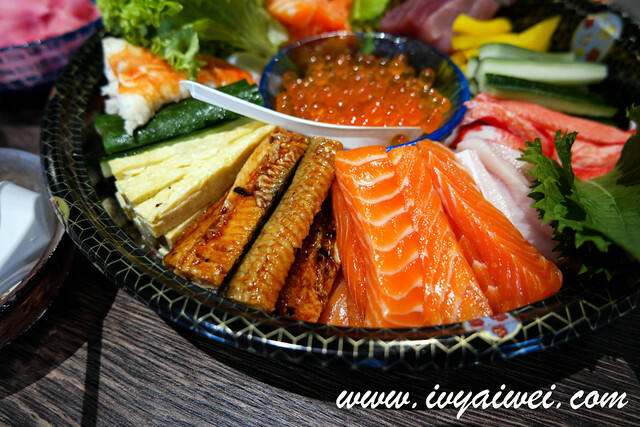 The objective of this event is to promote the Japanese food to everyone, around the world. This event was opened to public to participate and it was a FOC event!!! How sweet of MAFF! 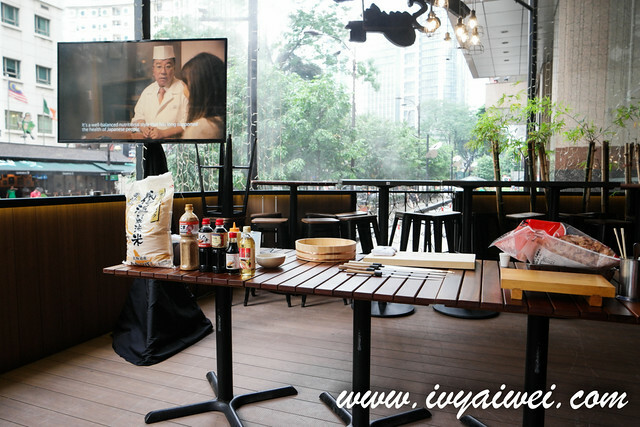 This workshop was conducted by Chef Tsunetoshi Tabata-san and Chef Joji Hasegawa-san. 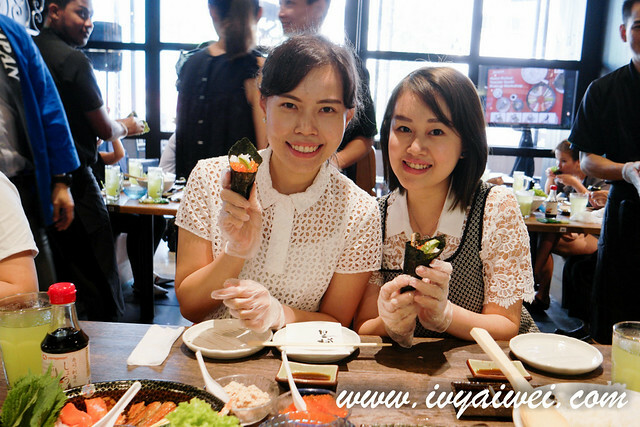 Chef Tsunetoshi Tabata-san started his career in 1974 in Tokyo and moved to Malaysia in year 2000 and has worked for a few working Japanese restaurants as sushi chef in KL. 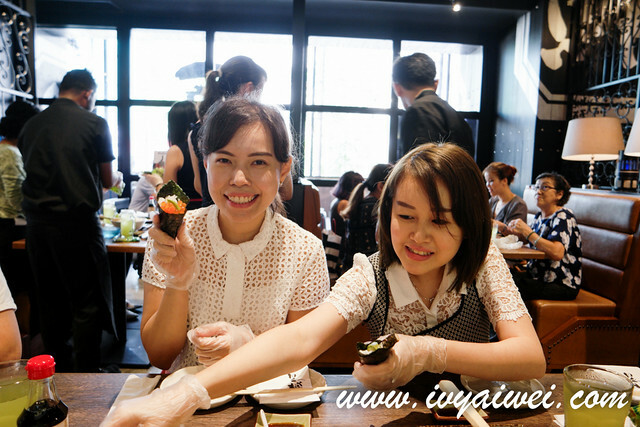 He is currently working in Ten Japanese Fine Dining, serving real authentic sushi creations of his. 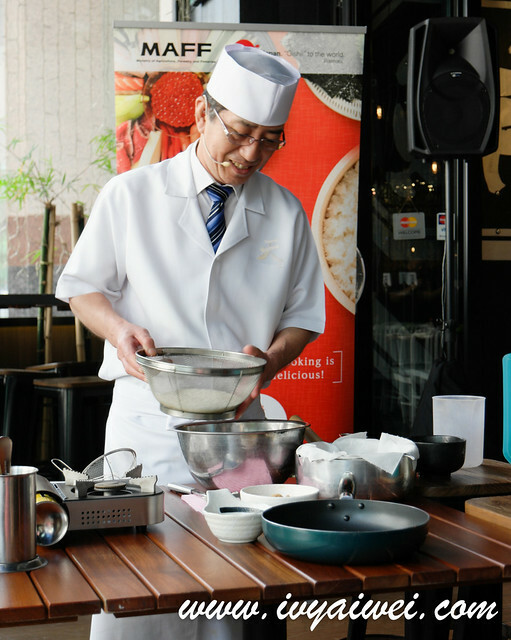 Chef Joji Hasegawa-san started his career in Tokyo as a chef in charge of pickles and desserts. He then became a master chef in 2008 in another restaurant in outskirt of Tokyo. He also has experience working in Cambodia and also Michelin starred restaurant. 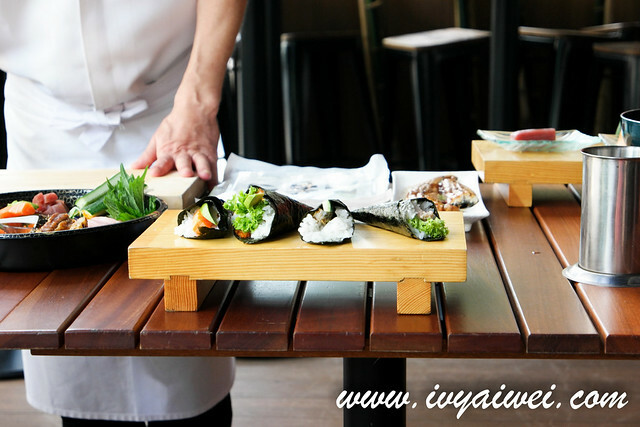 He is currently working as a chef in Senya Sake & Dining. Before we get started with our hands on experience, we were introduced with Washoku. 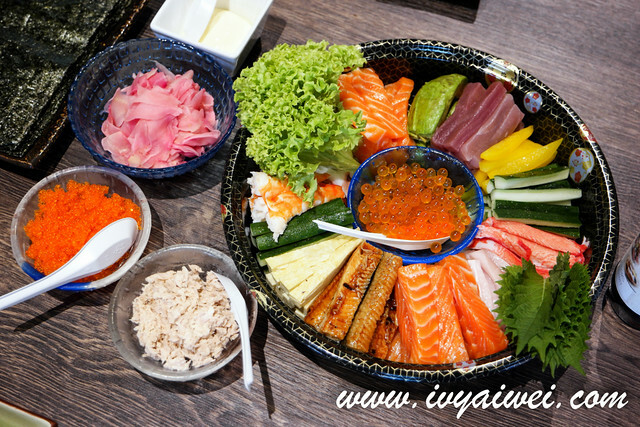 Traditional Japanese food is known as Washoku. These are all presented in the Washoku-style meal with the concept of ichiju-sansai (a bowl of soup and three dishes). 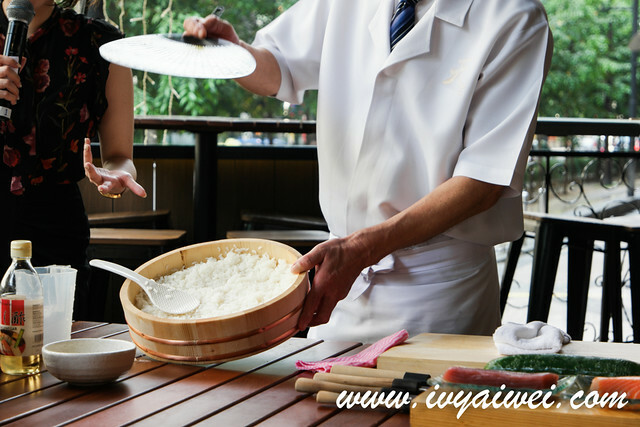 Hence most of the times you will see the meal sets in Japanese restaurants always come with a bowl of steamed rice, soup, main dish/ side dishes of cooked fish, tofu, vegetables and Japanese pickled vegetables (konomono). 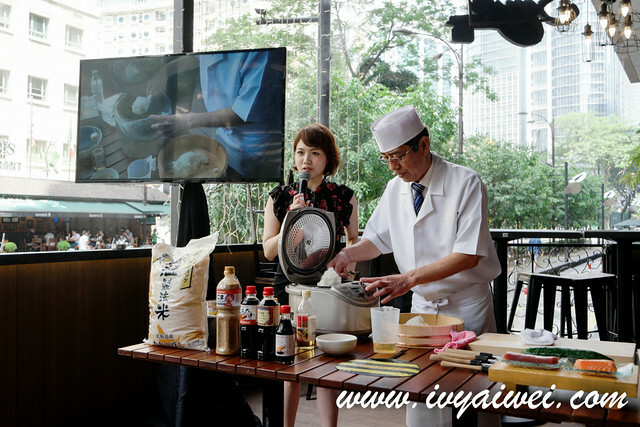 Chef Hasegawa-san demonstrated on how to make Dashi だし. It is very very very simple and one can easily perform it at home with just 3 simple ingredients – water, konbu (dried kelp) and bonito fish flakes. The umami-ness flavour is easily prepared with these. The clear broth was rich with essence from the sea. With dashi, it is working as the base for miso soup, clear broth, noodle broth and many types of simmering liquid. And stupid me, all these while I prepared miso soup with just miso paste and it didn’t taste great at all. Now that I know where the umami flavours from! 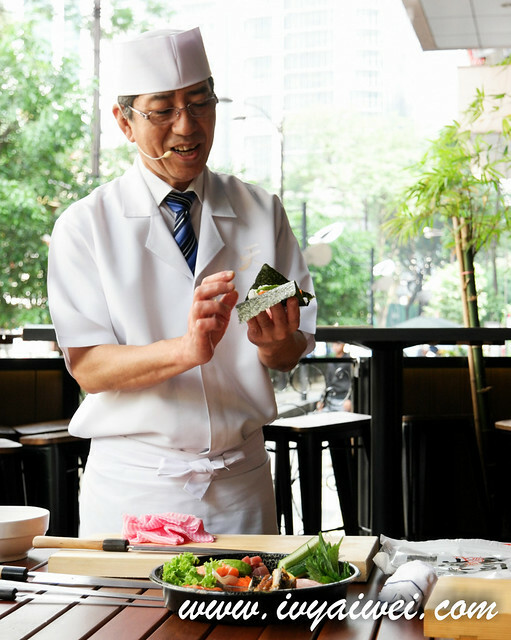 Next, it was the session for Chef Tabata-san to demonstrate on how to make Temaki – hand-roll. 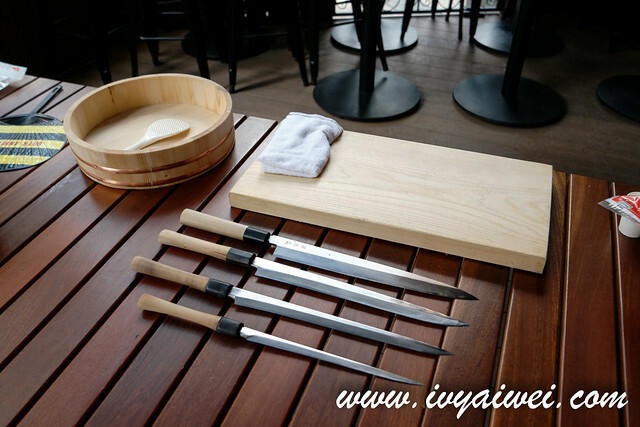 Check out Chef Tabata-san’s knife. The valuable knifes of his representing his experience in this field. At first, I thought they are all different kind of knife. Little did I know, they are the same type knife but due to the sharpening effect by days and years, they “grow” smaller and smaller. 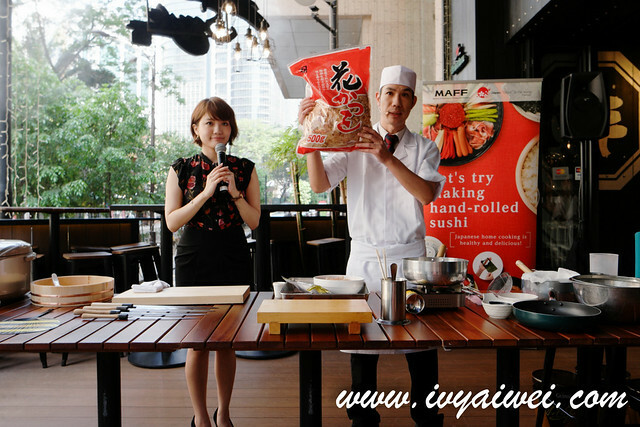 Chef then demonstrated on making Temaki手巻. 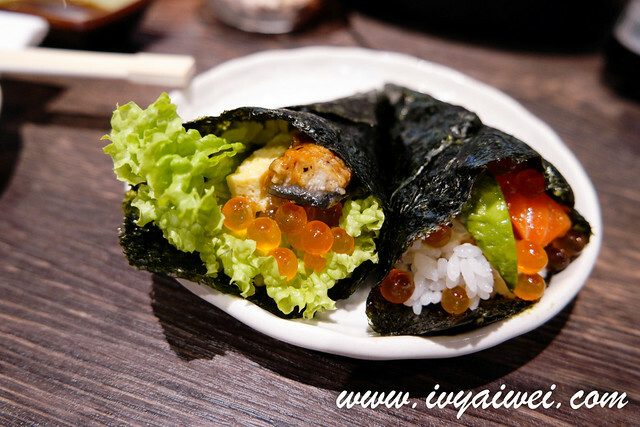 Temaki is sushi hand-roll, with a large cone-shaped piece of nori on the outside and ingredients stuffed inside and spilling out the wide end. 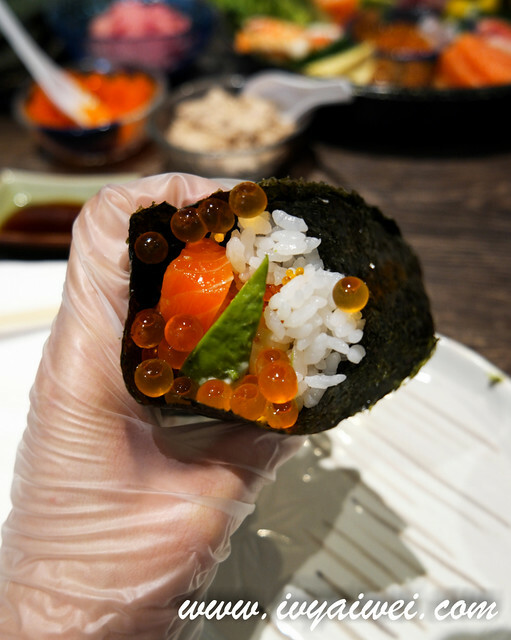 You can stuff whatever you like into your hand-roll. In just a glimpse, Chef Tabata-san did it all perfectly and beautifully. 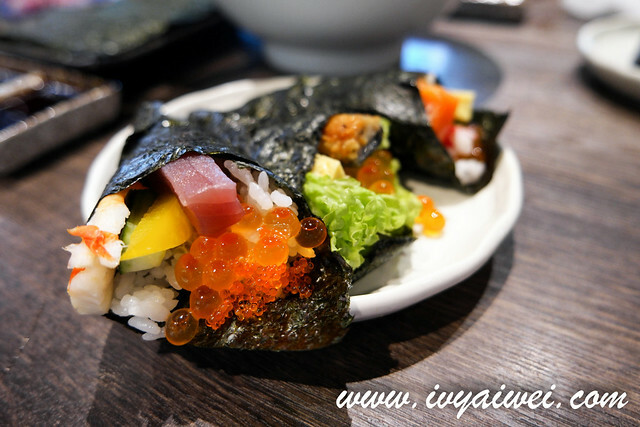 The sliced tuna, salmon, unagi, fish roe, octopus, prawns, tamago and various vegetables… these are the ingredients to make the hand roll. Also mayonnaise and some sauces to taste. First end product was ugly, so eat it right away. 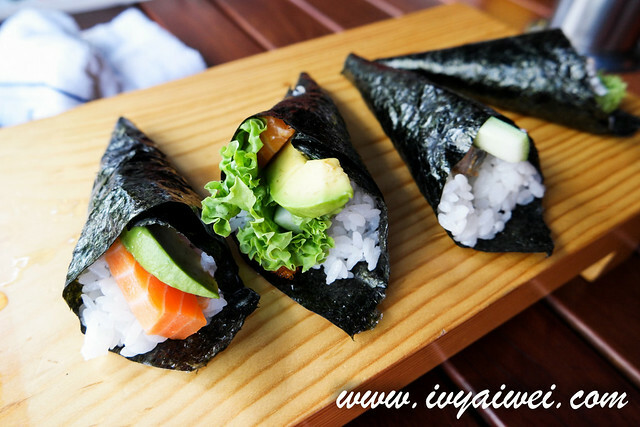 With a few more rolls, we were better and able to produce nicer temaki. Many thanks to MAFF of Japan and Senya Sake & Dining Restaurant for sharing us all these valuable knowledge. It was indeed a wonderful experience. Yay, now I can make temaki at home, and yummy miso soup to bring to work. 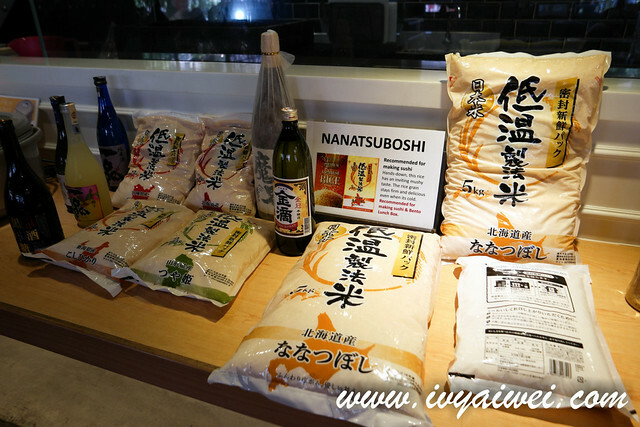 Oh yeahh, you can get these ingredients ie Japanese rice and sauces from local supermarket like AEON and Isetan.